La Sella which is nestled next to the Montgó National Park of Denia and La Sella Golf complex, associated with the 5* Marriot Hotel and Health Spa, Internationally renowned for its excellent facilities for golf the whole year round. This residential urbanisation also offers local amenities such as a supermarket, restaurant, pharmacy, tennis courts and horse riding. 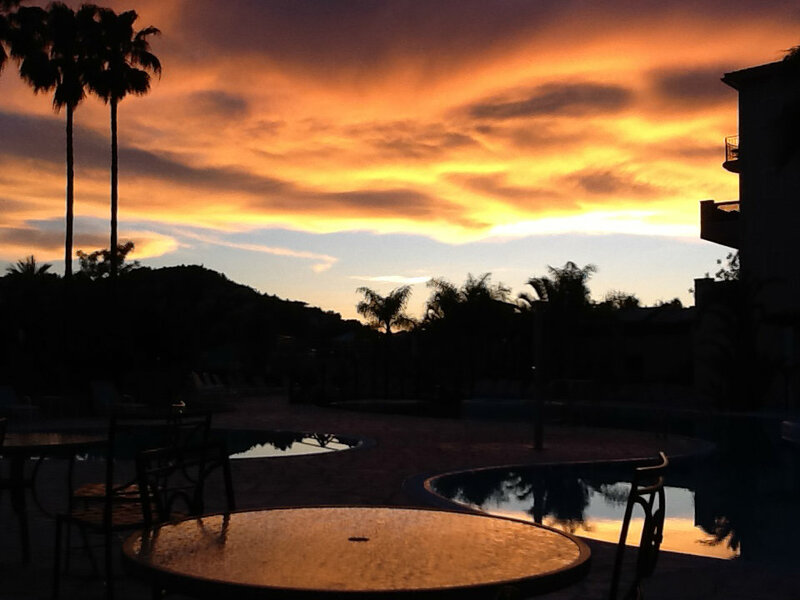 These residential properties form part of a unique and prestigious development surrounded by unspoilt nature that is quiet and would be an ideal location for both permanent or holiday living here in Spain. Situated only a short drive from the beautiful “blue flag” sandy beaches of Denia and Javea and very easily accessible from the main (AP7) autopista being midway between the airports of Alicante and Valencia. 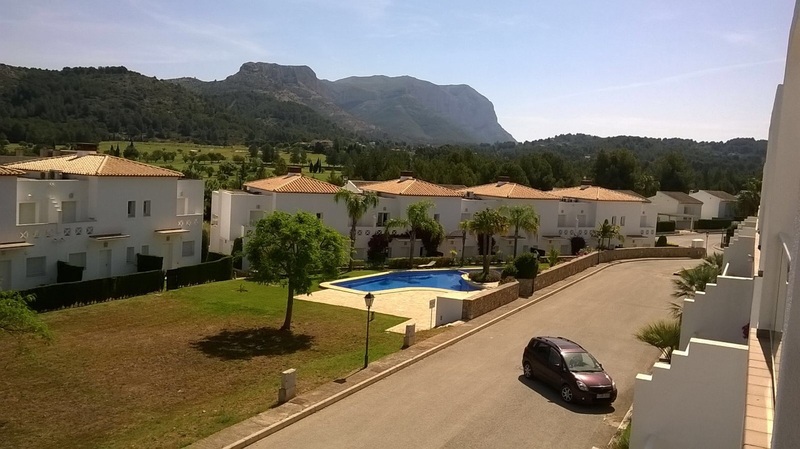 La Sella Golf Apartments have recently been completed and are new to the rental marketplace. Both are thoroughly furnished and fully equipped to a high standard. They face the good sized shared family swimming pool with views of the immediately adjacent countryside. Unit 1B is on the lower floor and has a very large sunny terrace. Unit 3B is on the top floor and has a smaller, but still generous sunny terrace with extended views over the countryside and golf course. These apartments are at the end of a road with no passing traffic in a nice quiet location. 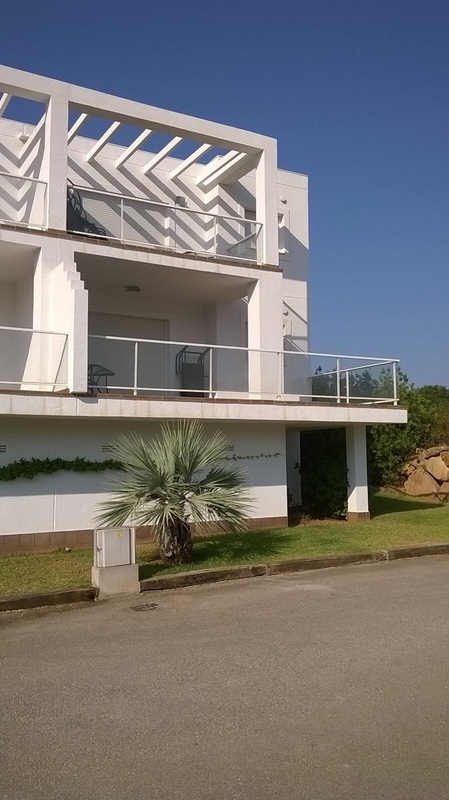 The La Sella development is long established and these units are amongst the most recently developed. A car is required as the development is extensive around the golf courses and villa developments Airport journey time is 1 hour from Alicante and 1 hour 10 minutes from Valencia. 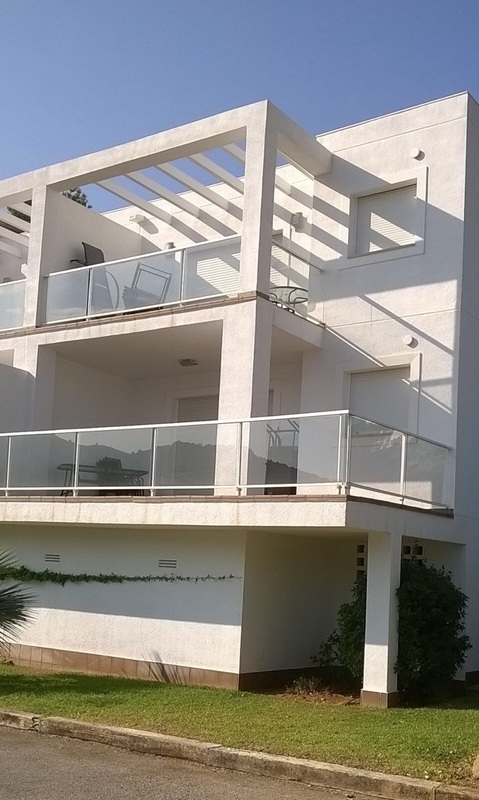 La Sella Golf Apartments have recently been completed and are new to the rental marketplace. Both are thoroughly furnished and fully equipped to a high standard. They face the good sized shared family swimming pool with views of the immediately adjacent countryside. Unit 1B is on the lower floor and has a very large sunny terrace. Unit 3B is on the top floor and has a smaller, but still generous sunny terrace with extended views over the countryside and golf course. These apartments are at the end of a road with no passing traffic in a nice quiet location.